For those who like trekking or strolls, the green Valtiberina hills in Tuscany offer a myriad of trails and itineraries suited to every need, from short, relaxing strolls suited to the entire family to those that are more challenging for experts. 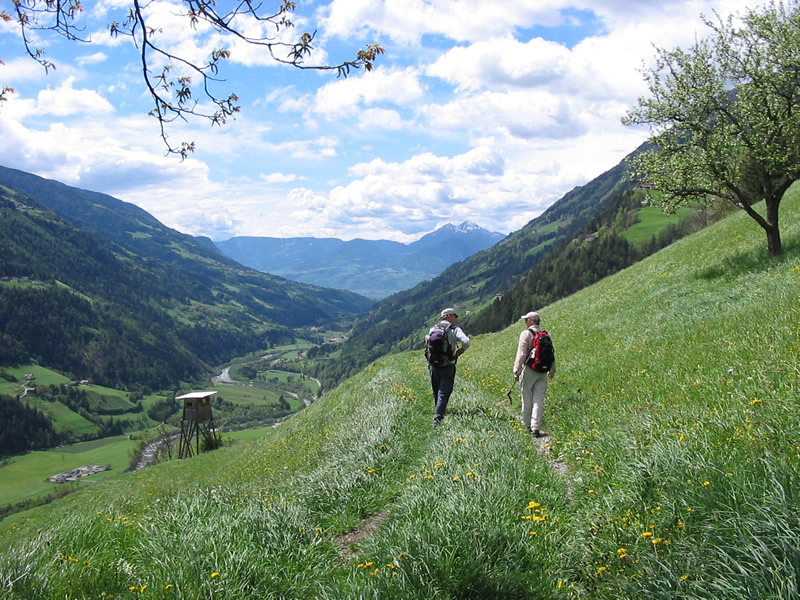 Walking along the trails immersed in the green woods, you may glimpse fabulous panoramas with views of the varied landscapes of Valtiberina. At our Agritourism lodge, you will find a detailed trail map with the various degrees of difficulty; we also make available a gps navigator for the most-traveled trails. You can also reserve excursions with an expert guide who will accompany you along the trails of our Apennines, in the discovery of enchanting landscapes, crossing the imaginary borders of Tuscany and entering the territories of Umbria and Romagnolo. Our territory is ideal for fans of the Mtb. 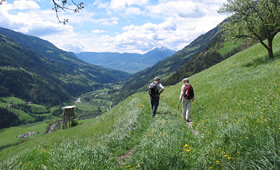 Gentle and steep slopes alternate with simple or tortuous descents, truly offering something for everyone! Those who love this sport have found the right place! 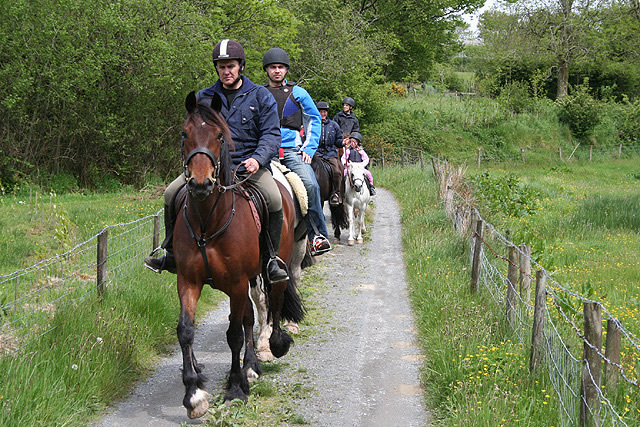 By advance arrangement, Andrea, the owners' son, may join you on the forest trails, through streams, steep or gentle hills to conquer magnificent landscapes! 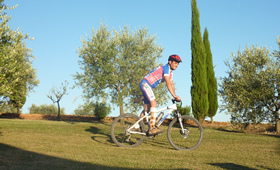 We remind you that in our Agritourism lodge you will find mountain bikes for your use without charge. We also make available trail maps and a gps navigator for the mountain bike; contact the Agritourism lodge for more information. You may reserve an mtb tour of one or more days, coordinated by a local cycling group that will accompany you among the natural beauties of our territory. Traveling about fifteen km from our agritourism site, you may find one of the largest and best-equipped equestrian centers of central Italy. 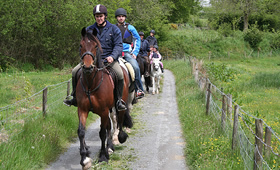 The center has an excellent school of horseback riding for beginners, and it is also possible to take exciting horseback rides, through the woods and the hills of the Upper Valley of the Tevere, in the discovery of fabulous places in complete safety. 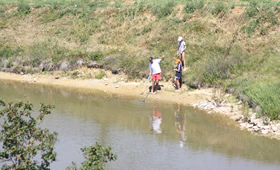 The pond below the Agritourism lodge is ideal for children supervised by their parents may enjoy casting for a few little fish. For fishing as a sport or passion, Motedoglio Lake (only about 10 Km away) is the right place. This is an artificial basin formed by the damming of the Tevere River; its size (302 sq.km) makes it a major landscape and environmental attraction in the Valtiberina Tuscany. There are many species of fish: perch, pike, catfish, chub, Chondrostoma soetta, alburnus, zander, perch sole, some perch trout, trout from Tevere. 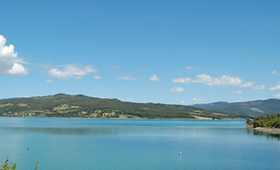 Lake Montedoglio is renowned for pike fishing and is one of the most beautiful itineraries of central Italy. To fish, it is necessary to have a fishing license. In addition to summer fishing, it is also possible to practice other sports such as canoes, row boats, paddleboats and wind-surfing. You may find all the useful information on types and ways of fishing with the Sports Fishing Association (A.P.S.) 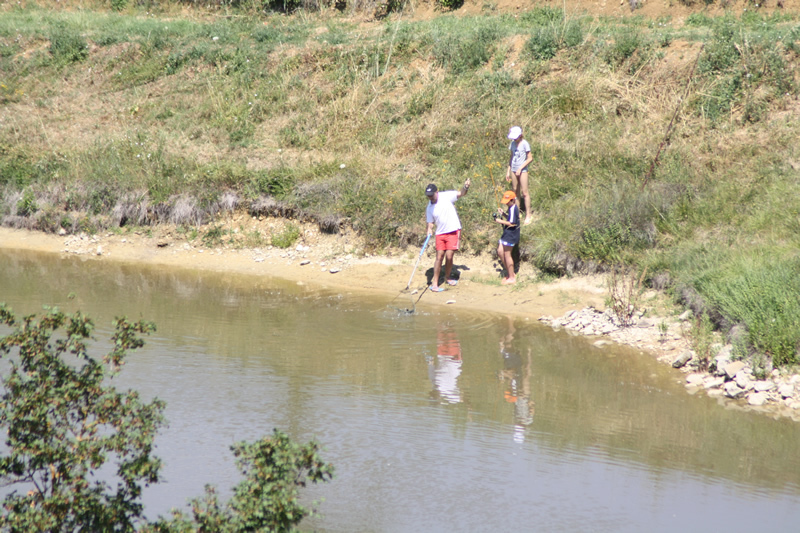 of Sansepolcro, the association offers many useful services for orientation, fishing in peace and having fun without red tape and searching for the best place for each type of fish. You find more information on the lake at: www.digadimontedoglio.it.